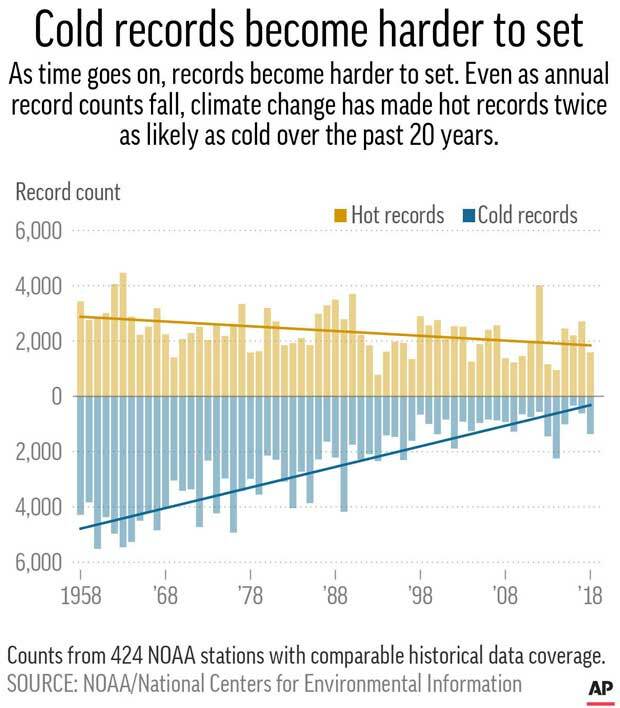 Chart shows annual counts from 1958 to 2018 for high maximum and low minimum temperature records across 424 AP-selected NOAA GHCN Daily weather stations. Borenstein, an AP science writer, reported from Washington. Forster, an AP data journalist, reported from New York. Follow Seth Borenstein on Twitter at @borenbears .